In a city, where everything is possible, a guy meets a girl at a bar. 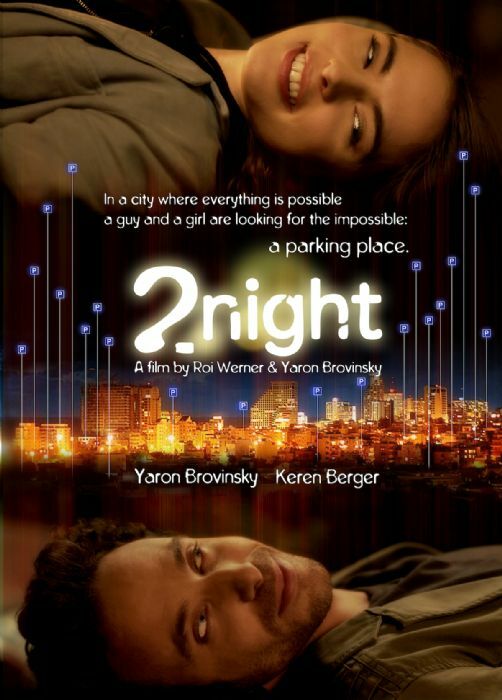 They decide to spend the night together and head back to the girl’s home but – they can’t find a parking space. They embark on a search for the impossible – a parking space in the urban jungle, a place for the car and a place for the heart. They face strange people, one another and ultimately they must face themselves. Their seemingly casual, comical conversations are a reflection of today’s 30+ generation in the big cities: Never satisfied, always looking for something else, always hoping to find but failing to commit. "2Night" is a magical tour of situations, feelings, fears and love.